What do you see as some of the major issues and concerns in drug development? 1. The discovery engine is very productive, but validating targets has not changed in more than 50 years. 2. Commercial is not truly taking advantage of data science and digital outreach to people. It still takes more than 10 years and $1 billion to $3 billion to produce a drug. 3. Getting the R&D engine to be more productive. Silos are still an issue. The people who start a study aren’t always around by the time it ends. What’s getting lost in the middle? How much does this add to the timelines? How did you end up developing a disruptive innovation event for clinical trials? After spending years working with clinical operation executives from Pharma, CROs and sites on the subject of clinical trial efficiency, we observed that innovation moved slowly and we were tied to legacy systems and practices. In the meantime, we had and still have thousands of diseases that need an effective therapeutic. As time moved on, we could see the “uberization” of change affecting all industries, and recognized that healthcare consumer expectations will also change, as indeed they have. 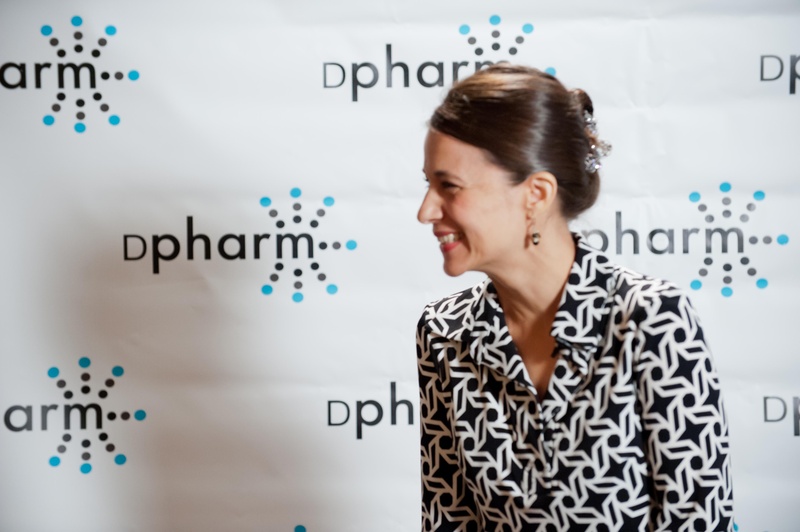 So, in 2010, after a Pfizer executive challenged me to present an event that could apply disruptive innovative thinking to shake up the way we do clinical trials, we strategized to develop DPharm. The purpose had to be disruptive in the “academic” sense in that we had to present an agenda with examples that reduced the burden and costs to the end users. We think of the end users as primarily the patients and investigators. What are the key themes and topics for DPharm 2018? DPharm 2018 is about all things digital, data science, patient data ownership and new approaches to optimize clinical operation systems. How disruptive is DPharm and how does it help R&D executives? Most of the really disruptive ideas come from our keynotes. These are people mostly from outside pharma, who have accomplished something disruptive. For example, our global keynote, Indrek Õnnik, is part of a team from Estonia that helped digitize the entire country, enabling patients to own their data and choose their own medications digitally. Another example is Dr. Anthony Atala, who is the ultimate KOL for regenerative medicine at Wake Forest. Dr. Atala is working on making 3D organs to potentially reduce the need for patients in early drug development. A further example is Mark Johnston from Amazon Web Services, who will describe to the DPharm audience how to innovate like Amazon. The keynotes help the industry to think about how to prepare for what is expected from 21st century drug development and to keep pace with innovation. Most innovation is not disruptive. What other kinds of innovation do you feature? DPharm reports on a range of innovations, as well as provides a benchmark or deadline for companies to work towards, so that they can present what they have accomplished in the previous 12 months. AstraZeneca, Allergan, BMS, Sanofi, Amgen, Boehringer Ingelheim, Bayer, GSK, Roivant, Roche, Janssen, Pfizer and others will be presenting a variety of innovative accomplishments that contributed to the advancement of clinical trials. Most of these examples are from small teams with big ideas. Can you tell us more about how you are covering patient data ownership? This year, we have increased our coverage of patient data ownership and access. As we anticipate a future with secure patient data ownership, especially given what we are already seeing with the use of blockchain, on day one of DPharm Janssen will discuss “Patient Data Access from Concept to Implementation”. On day two, Pfizer’s Craig Lipset will host a coordinated series of talks on the “Democratization of Patient Data Ownership” with patients, providers, CMS, GSK and Hu-manity. Do companies present individually or as a team? It’s a real mix. Roche, Pfizer, Sanofi, Allergan and Boehringer Ingelheim are sending teams to present, while other pharma companies have a single representative speaking. Is there anything else you would want to highlight about DPharm? Although DPharm features several industry case studies on implementing new technologies, we are careful to also cover change management as well as a culture of service in R&D. The reality is in order to influence change and to be able to scale ideas, we need a culture of service in R&D. How do we work together to help the industry achieve its goals in serving patients? On day two of DPharm, one of our track choices is “How to Create a Service Oriented Culture in Drug Development”. This section features our concluding keynote, Dr. Chip Bell, the #2 keynote speaker in the world on customer service according to Global Gurus. Dr. Bell will give the DPharm audience some powerful ideas to influence a culture of service for patients and investigators. For more information on the 8th Annual DPharm conference, visit www.theconferenceforum.org.